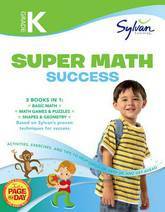 Success in math requires children to make connections between the real world and math concepts in order to solve problems. Extra practice can help young problem solvers advance to more complex topics with confidence. 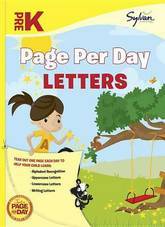 The activities in this workbook are designed to help your children catch up, keep up, and get ahead. Best of all, they'll have lots of fun doing it!  Some of the great features you'll find inside are: Â BASIC MATH Tic-Tac-Toe A twist on this classic game helps students develop a solid understanding of factors, prime numbers, and composite numbers. Â Dueling Denominators Students gain practice determining the lowest common denominator between fractions and then adding them. Â MATH GAMES & PUZZLES Secret Meeting Professor Wormhole, a genius scientist, wants to meet in a secret location. Students must substitute numbers for letters using a code and multiplication skills to find the secret meeting place. Â Awesome Avatars A new video game lets you design your character before you start playing. With choices such as skin color, hairstyles, outfits, and shoes, students determine how many characters can be designed. Â MATH IN ACTION Cool Collections Students use multidigit division to find out the number of album pages needed to hold collections of baseball cards, photographs, and stamps. Â Graph It Students survey friends about books they've read in the past month and use their graph skills to plot the answers. Then they determine the range, median, mode, and mean of their results. 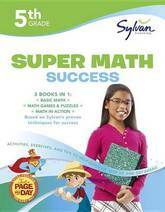 Â Give your child's confidence in math a boost with 5th Grade Super Math Success. 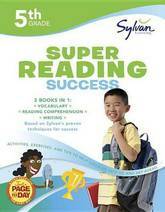 Each Super Workbook is a $39 value for just $18.99! 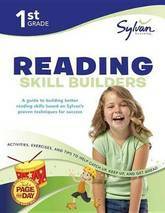 Includes a $10 discount coupon off your childÂs Skills Assessment at a Sylvan Learning Center. 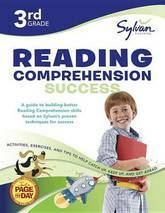 Second Grade Language Arts Success uses a systematic, age- and grade-appropriate approach to help your child succeed in school. 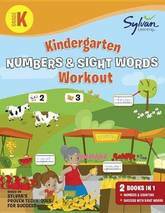 Each section in this 3-in-1 Super Workbook uses activities and practice tools to improve your child's language arts skills and make your child a superstar reader. 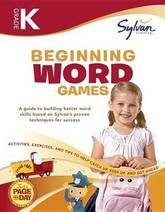 The engaging and effective exercises in Second Grade Language Arts Success include spelling games and activities, vocabulary puzzles, and reading skill builders. 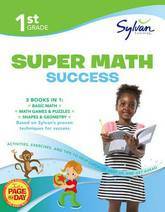 Why Sylvan Products Work Sylvan Learning Workbooks won a Honors Award from the National Parenting Publications Awards (NAPPA) as a top book series for children in the elementary-aged category.Â The NAPPA is the nationÂ s most comprehensive awards program for childrenÂs products and parenting resources, and has been critically reviewing products since 1990. 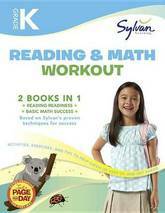 The Award recognizes Sylvan Learning Workbooks as some of the most innovative and useful products geared to parents. 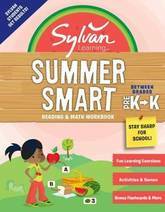 Sylvan's proven system inspires kids to learn and has helped children nationwide catch up, keep up, and get ahead in school. Sylvan has been a trusted partner for parents for thirty years, and has based their supplemental education success on programs developed through a focus on the highest educational standards and detailed research.Â SylvanÂs line of educational products equips families with fun, effective, and grade-appropriate learning tools.Â Our workbooks and learning kits feature activities, stories, and games to reinforce the skills children need to develop and achieve their academic potential.Â Students will reap the rewards of improved confidence and a newfound love of learning. 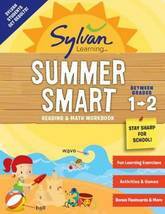 Bonus $10 discount coupon off your childÂs Skills Assessment at a Sylvan Learning Center with the purchase of every Sylvan Workbook! 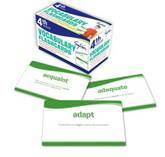 First Grade Reading Skill Builderswill give your child practice and strengthen the ability to recognize and understand a variety of words and text. 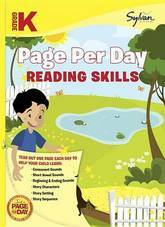 Each lively and engaging activity inside the book focuses on a skill needed to become a superstar reader. From phonics to sentences to stories,First Grade Reading Skill Builderswill help your child with the foundation needed to succeed throughout elementary school. 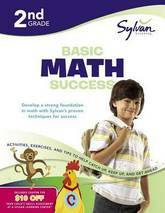 Why Sylvan Products Work Sylvan Learning WorkbooksÂ won a2009 Honors Award from the National Parenting Publications Awards (NAPPA) as a top book series for children in the elementary-aged category.Â The NAPPA is the nationÂs most comprehensive awards program for childrenÂs products and parenting resources, and has been critically reviewing products since 1990. 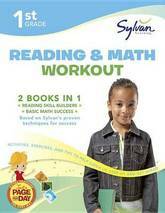 The Award recognizes Sylvan Learning Workbooks as some of the most innovative and useful products geared to parents. Sylvan's proven system inspires kids to learn and has helped children nationwide catch up, keep up, and get ahead in school. Sylvan has been a trusted partner for parents for thirty years, and has based their supplemental education success on programs developed through a focus on the highest educational standards and detailed research.Â SylvanÂs line of educational products equips families with fun, effective, and grade-appropriate learning tools.Â Our workbooks and learning kits feature activities, stories, and games to reinforce the skills children need to develop and achieve their academic potential.Â Students will reap the rewards of improved confidence and a newfound love of learning. 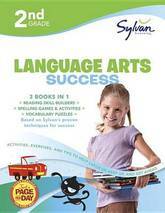 Receive a bonus $10 discount coupon off your child's Skills Assessment at a Sylvan Learning Center with the purchase of every Sylvan Workbook!Sylvan's Second Grade Reading Skill Builders will help your child practice and strengthen the ability to recognize and understand a variety of words and text. 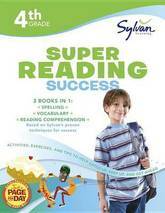 Each lively and engaging activity focuses on a skill needed to become a superstar reader. 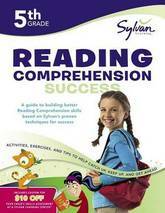 From phonics to sentences to types of stories to the parts of a book, Second Grade Reading Skill Builders provides the exercises needed to build a strong foundation in the language arts. 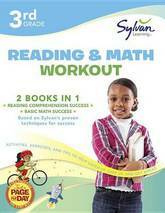 Why Sylvan Products Work Sylvan Learning WorkbooksÂ won a 2009 Honors Award from the National Parenting Publications Awards (NAPPA) as a top book series for children in the elementary-aged category.Â The NAPPA is the nation's most comprehensive awards program for children's products and parenting resources, and has been critically reviewing products since 1990. 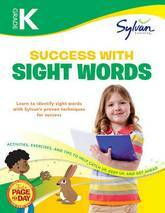 The Award recognizes Sylvan Learning Workbooks as some of the most innovative and useful products geared to parents. 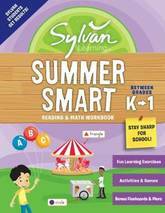 Sylvan's proven system inspires kids to learn and has helped children nationwide catch up, keep up, and get ahead in school. Sylvan has been a trusted partner for parents for thirty years, and has based their supplemental education success on programs developed through a focus on the highest educational standards and detailed research.Â Sylvan's line of educational products equips families with fun, effective, and grade-appropriate learning tools.Â Our workbooks and learning kits feature activities, stories, and games to reinforce the skills children need to develop and achieve their academic potential.Â Students will reap the rewards of improved confidence and a newfound love of learning.